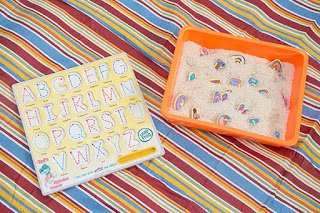 Letter sounds, he needs to learn letter sounds. This started early at my house; I don't know why, but love before Kindergarten my girls learned their letter sounds. I didn't push him to learn them all, he was so little still, but a lot had sunk in. 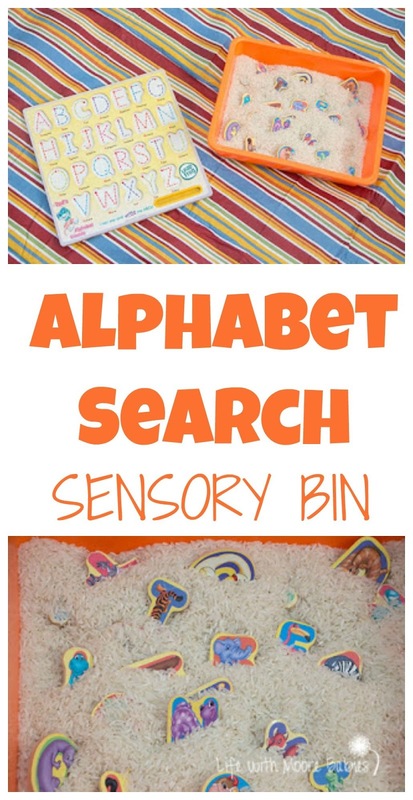 As a fun way to review, I put together an Alphabet Search Sensory Bin! 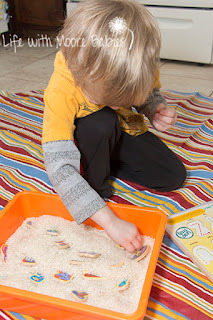 This was one of the easiest sensory bins I have put together too, but my little man played with it for a long time! I started by dumping a bunch of white rice in a plastic bin. Next, I added all the pieces of his letter puzzle and done! I did take the time to bury some of the pieces partially or completely, so there was some searching to do, but still, super simple. He didn't care that it took 2 minutes to put together, he was super excited to get his hands on the rice. Really, all my kids have learned better when I gave them a hands-on learning activity rather than a worksheet, so I shouldn't be surprised by that. It didn't take him long to get digging. 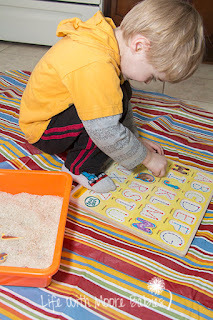 He practiced matching the letters by their names as well as by their sounds since I was sitting with him to correct him. And after all the other letter bins, he did pretty well with the sounds! 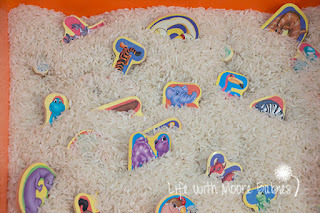 He finished the puzzle and then put all the letters back in the bin to do it again! Eventually, he grew bored with the letters and decided to play with the rice. Apparently, it even felt good on his feet! 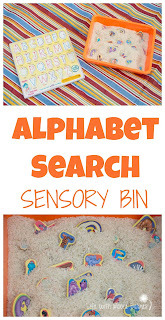 Still, he got a lot of great phonics practice out of this simple Alphabet Search Sensory Bin, and he probably didn't even realize it! 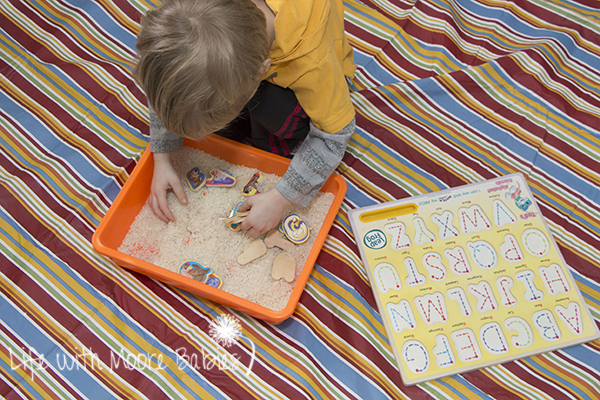 Honestly, he has learned so much through all the alphabet sensory bins without even knowing he was learning. So letter sounds...check. And no pushing! Want to make your own and not sure where to start; check out our sensory page. What other fun learning sensory bins have you made?